Dermatologists can be used to treat a wide range of skin disorders. Common examples include eczema, psoriasis, acne, and wrinkles. As these are highly trained professionals, they are often employed when over-the-counter options are not sufficient. Still, finding the best doctor for your needs is important if you hope to enjoy viable results within a short period of time. What qualities should you look for? Are there any certifications that are required? Let’s take a look at a handful of signs that you have chosen a reliable doctor. 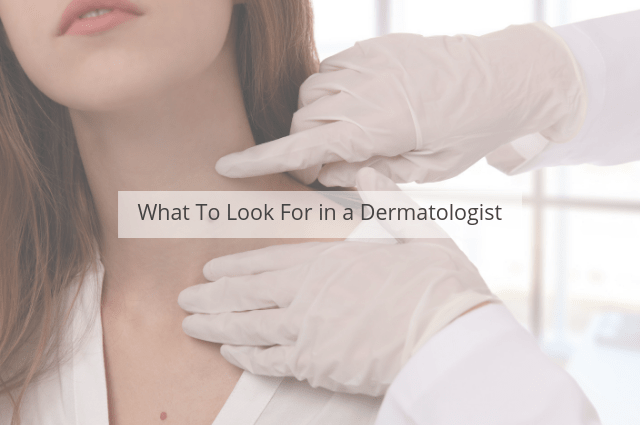 We should first point out that unlike some other medical professions in the United Kingdom, the regulations surrounding dermatology are quite broad. The first step is to determine whether or not the professional in question is a member of any recognised organisations such as the British Cosmetic Dermatology Group. It is likely that a dermatologist in Manchester is a member, but it is not absolutely necessary. Other online portals such as the General Medical Council (GMC) offer detailed listings of dermatologists throughout the United Kingdom. Check this website to determine whether or not the name of yours is present. Let’s recall that modern dermatologists have been trained to treat a wide range of skin conditions. However, there can be times when you require such services in order to address cosmetic as opposed to medical issues. In this case, it is best to consult with a cosmetic dermatologist. This specific field is focused solely around aesthetics and treatments such as facial contouring. Be sure to check their areas of expertise before committing to one firm over another. The most respected dermatologists are able to provide you with testimonials from previous patients as well as examples of their prior work. They should have no problem illustrating such examples, as these instances will provide you with a peace of mind in knowing that you are making the correct choice. Also, be certain to search for any online reviews involving the doctor or firm in question. If you encounter a good deal of negative feedback, it is best to choose another dermatologist. There are thousands of practising dermatologists throughout the United Kingdom. Knowing which one to select is important if you hope to receive targeted treatment options. A few moments of research can go a long way towards securing a trustworthy doctor. Next PostNext How Dermatologists Remove Blackheads?